Yet scientists believe most people are perpetually short of the oxygen they need to enjoy peak health, vitality, and longevity. Is this the hidden cause of your low energy? 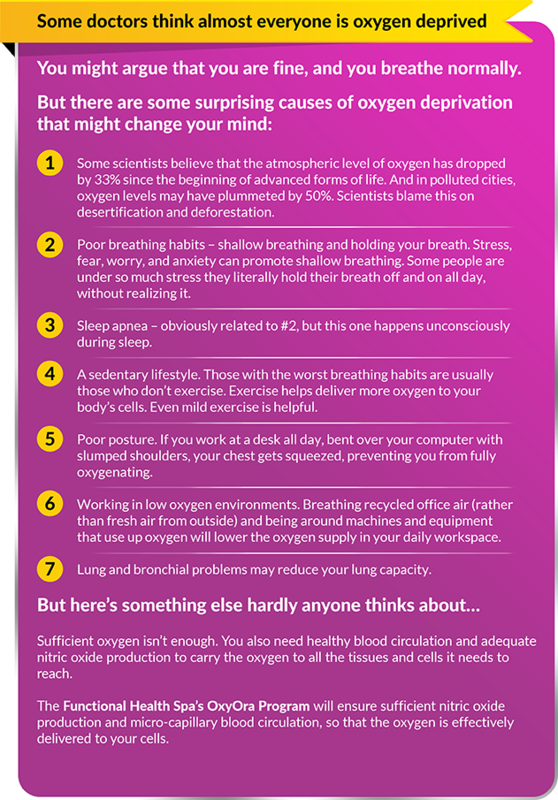 Researchers at MIT and Stanford University showed that cell oxygenation happens 10 times faster if you drink oxygen instead of breathing it. The oxygen in the water penetrates the mucous membranes of your stomach and GI tract to reach your tissues.